Danny Green (pno), Justin Grinnell (bass), Julien Cantelm (drums), Kate Hatmaker (violin), Igor Pandurski (violin), Travis Maril (viola), Erica Erenyi (cello). 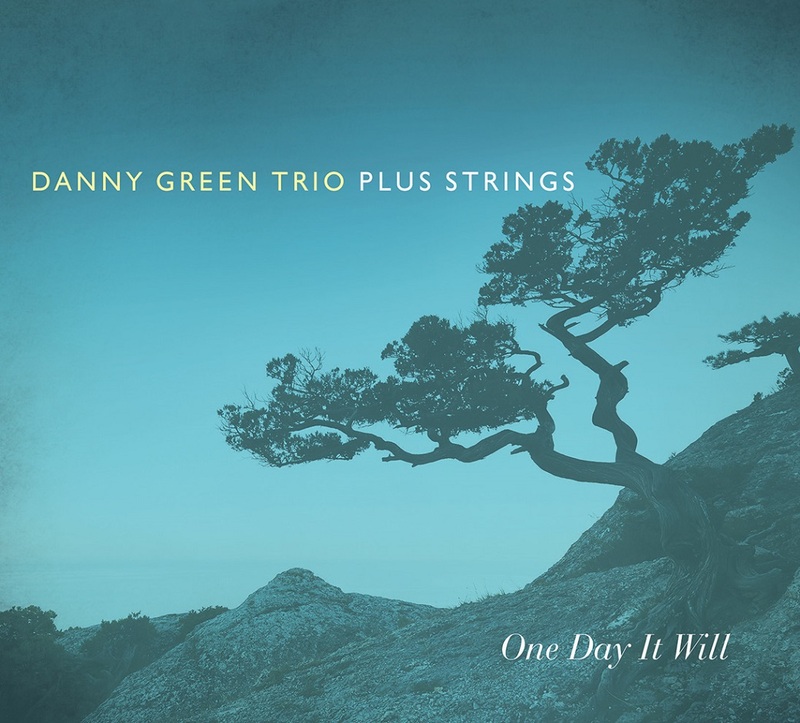 San Diego based pianist/composer Danny Green, with his fifth album, leads his Trio and a String Quartet from the San Diego Symphony Orchestra through an attractive programme of original chamber jazz. At times, the strings provide background figures and harmonies much as a conventional sax section might do in a jazz orchestra and, at others, interject their own strong segments further developing the compositions. Green’s original inspiration came from the ground-breaking 1966 project/album “The Bill Evans Trio with Symphony Orchestra” but other more recent material, notably from Herbie Hancock, has also provided ideas. Green has a lovely ‘touch’ at the keyboard and all of the musicians are more than competent. Time Lapse to Fall is a lively, cheerful piece built on a simple repeated phrase using a major to minor key which represents the seasonal movement from Summer to Fall with the vigour of a summer’s day leading to cascades of falling leaves. As the Parrot Flies opens with pizzicato strings and a cleverly constructed ascending, chordal-based melody. The Trio then play collectively in an Evans/LaFaro/Motian style in a pleasing phase including glittering right-hand flourishes from Green leading to the concluding theme with strings fully integrated. The title track, One Day It Will, is played in a gentle, ruminative style, drifting along in a pastoral way. View from the Sky flows elegantly – the chord sequence seems familiar – it’s probably drawn from classical sources. Lemon Avenue, a waltz, includes ‘singing’ piano lines, delightful string writing, a lively bass solo and a generally wistful vibe. November Reveries; a chord sequence with many twists and turns – effective in its own way - echoing some of the writing in Charlie Parker’s ‘Bird With Strings’ band. Sifting Through the Silence is a thoughtful ballad, chordally strong that meanders along. Again the string playing, which is more than compatible, enhances the track. In October Ballad, the minor-keyed theme and variations are a little ‘Chopinesque’ to this listener. A graceful tempo with subtle string contributions adding to this mood. Finally the closer, Down and Out, is in a restrained, bluesy, boogaloo tempo. The piano solo winds its way through energetic string background figures leading to a vigorous bass solo and a final reprise of the theme. Overall, a thoughtful CD, the result of much hard work from many, where “the intriguing possibilities of integrating classical harmony and form into the jazz context” have been successful.